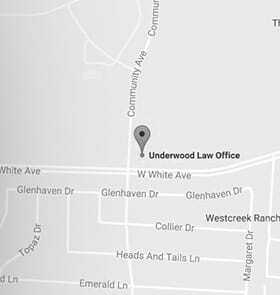 You are here:Home>Texas Criminal Law>Should I Disclose My Arrest To An Employer? Being placed under arrest can be traumatic. And it can also be costly. Texas law gives employers the right to run criminal background checks on potential hires to determine whether they’re a good fit for the company. Legislators passed a law a few years ago that should, theoretically, make it easier for employees with criminal backgrounds get jobs, despite having their records, but there’s no guarantee. So should you tell your boss about your Texas criminal law arrest? While opinions vary, realize that there are some jobs (involving public safety or children) where you can be required to disclose your police record. Beyond that, an arrest isn’t the same thing as a conviction. In an arrest, you are innocent until proven guilty. But withholding that information from an employer can be risky: Texas is an “at will” state. That means it’s pretty easy to get fired, with or without cause. Also, if you’re still under investigation, concealing the arrest from your boss may put you in a position of lying to your boss about time off for pending court dates, meetings with your lawyer, etc. Bosses, in my experience, don’t like being lied to. If charges have been dropped, you can have that arrest expunged from your record. In some cases, you might be able to have convictions expunged or sealed, although that’s a little trickier. But if you think that an expunging the record means you no longer have to face the issue, remember how small is the world we all live in, thanks to the Internet. There’s always a chance that word get back to your boss. The question is, do you want to explain it to your boss first, or a second? A good rule of thumb when deciding how to talk to your boss is: Tell it first, tell fast, and tell it all.